Aspiration of barium sulfate occurs accidentally. Lung reaction is usually mild in the early phase due to inert character of the substance and long-term reactions or late toxicities are not expected. Little if any fibrotic response is speculated. 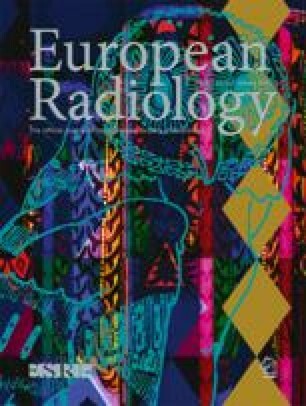 We present a case with barium aspiration, studied by high-resolution computed tomography (HRCT) 1 year after the event, as late pulmonary sequelae studied by CT have not been described yet, to the best of our knowledge. The HRCT revealed thickened interlobular septa, subpleural lines, subpleural cysts, and centrilobular micronodules along with barium particles in a subpleural distribution. Those findings indicated that barium is capable of producing mild though silent clinically fibrosis.